Florida Startup World Housing Solution, Quick, Strong And Green! I gotta tell you, one of the most interesting startups I’ve seen at a startup conference is World Housing Solution. 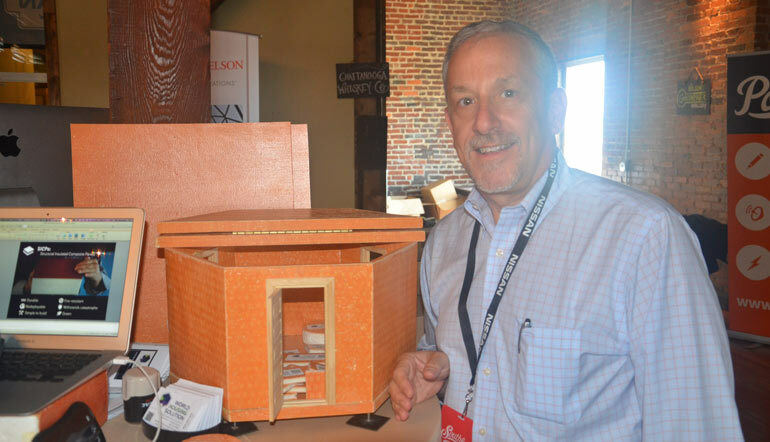 This Orlando based startup has created a way of making extremely strong, quick to build shelters out of Structural Insulated Composite Panels. The company’s founder, Ron Ben-Zeev tells us that SICPs, are like a super strong sandwich made out of fiberglass bread and a foam center. Ben-Zeev and his team have found a way to quickly and effectively use this material for shelter. The SICPs make World Housing Solution shelters great for emergency needs like the aftermath of a natural disaster. They are also great for deploying in emerging countries. For instance, the scale model of the structure they showed off at Southland is actually being deployed to the horn of Africa as a hospital for women. That project calls for five of WHS’s structures to function as a maternity ward, delivery room, clinic, kitchen and rest rooms. In this case the structures deployed will be permanent but it will take days rater than weeks, months or years to get the hospital off the ground. In addition to being extremely quick to set up the WHS shelters are hurricane resistant (up to 155mph), earthquake resistant (up to 7.8 richter), they don’t mold, mildew or rot, they’re fire resistant and bullet proof. Ultimately this makes the WHS shelters ideal for fast implementation in civilian, government and military installations. Although he has no formal “construction” experience, Ben-Zeev is actually a Wharton educated executive with a background involving strategic consulting for Fortune 100 and 500 companies. He also served as Strategic Counsel to the North American CEO and President of Siemens Information Systems. Here’s more of our coverage from Southland in Nashville Tennessee. The Valley has done what the Valley is good at. 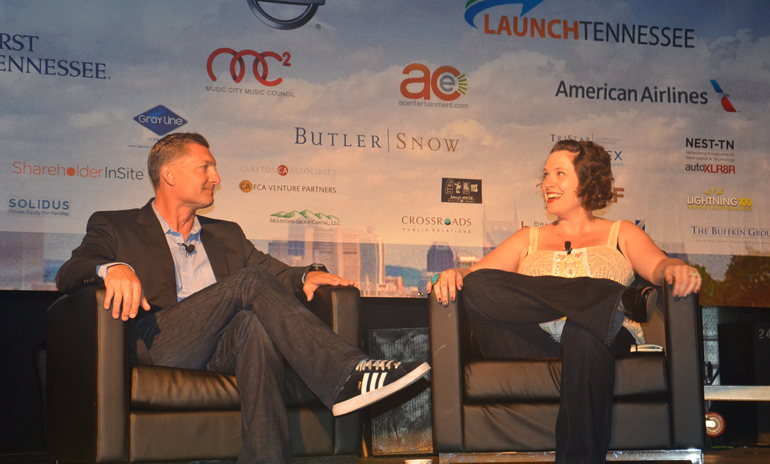 So said Sarah Lacy–native Memphian and founder of PandoDaily–during her Southland fireside chat with oDesk’s Gary Swart. This is great news for entrepreneurs everywhere else. While Valley companies have spent the last 30 years focused on tech, startups everywhere else think more about solving problems in every other industry. Families, healthcare, education, logistics, publishing. The list of industries ripe for disruption and innovation could go on. And, thanks to the tech created in Silicon Valley, those companies can build right where they are. And the perennial struggle to find investment outside Silicon Valley? Paul Santinelli actually addressed that issue later in the day. Stay put. Find great talent. Tackle a big problem. The money will follow. Easier said than done, of course. Silicon Valley is a compact space, filled to the brim with entrepreneurs and capital. “Everywhere else,” on the other hand, is vast. It can be pretty difficult to find the best people, at just the right time, and an investor willing to take the risks associated with an early stage startup. But, if–as Lacy says–the Valley is tech and millenial-focused and that market is saturated, there is huge opportunity out there. So, how do startups around the world make it happen? Don’t ride the rollercoaster. Entrepreneurship is full of extreme highs and extreme lows, often both within a minute’s time. In order to keep focused, entrepreneurs should stay even-keeled throughout the process. Ideas are great, but we all know ideas aren’t everything. Your big idea needs a big market and money, followed by great execution. So, what if you have all these things, but nothing seems to happen? External validation is important. Every idea has some naysayers, but if literally NO ONE is interested in what you’re building, it probably won’t ever sell. Always stretch yourself. Lacy said that early in her career, she purposely forced herself to “jump off cliffs” to keep herself uncomfortable. It’s the only way to keep your edge. Start as narrow as you can. Pick one thing and become the best at that one thing. After establishing expertise, then you can branch out into one or two other areas. Lacy and Swart weren’t encouraging delusions. They both talked about how hard it is to be an entrepreneur, and any founder outside Silicon Valley can list the ways it’s especially difficult. But, it seems the tide is turning. Ecosystems around the world are thriving, and more companies are tackling big problems. Throw in some of the irrational optimism we entrepreneurs are known for, and it might just be possible to build the company of your dreams after all. Today Entrepreneurship Is A Mindset, oDesk Infographic Reveals! Although some are suggesting that the worst is behind us in the current economy, the situation over the last 10 years sent more and more people into freelance and entrepreneurship. People found that they could no longer look for a job; they needed to create one. That’s one of the things that’s driven the success of oDesk, a marketplace for just about anyone with any skill that can be done on a computer. While many websites and companies devoted to remote working have an emphasis on development, design, and programming, oDesk is different. In fact, any startup anywhere could find the workforce they need via oDesk, right from their own hometown. Whether you’re looking for software developers, engineers, business development people, researchers, administrative handlers, or PR people, you’ll find them on oDesk. Since 2005 oDesk has been one of the driving forces behind remote working. Now millions of people have been connected to jobs across the street, or around the world through the power of oDesk. As more and more people turn to freelancing and remote work, oDesk released this very interesting infographic that shows not only are they onto something, but freelancing, remote work, and entrepreneurship are rising at a lightning fast paced. According to their research, today 90% of people think that entrepreneurship is a mindset rather than starting a company. With that in mind, oDesk has found that 72% of people still in “regular jobs” want to quit to be entirely independent. 61% have said they’re likely to quit within 2 years. Freedom seems to be the driving force behind this trend. Check out the welcome PandoDaily’s Sarah Lacy gave oDesk CEO Gary Swart at the Southland Conference. Loyalty and rewards, loyalty and rewards, loyalty and rewards. It’s like a broken record. Everyone thinks they’ve stumbled onto the next big thing with loyalty and rewards. But maybe Nashville-based startup Facedeals actually has. Facedeals uses a 100% opt-in facial recognition platform that is non-obtrusive to facilitate in person loyalty and rewards in a very passive way. Users simply sign up for a Facedeals account using Facebook, and the magic starts. When that person walks into an establishment using Facedeals, their face will be captured using an eye-level, inconspicuous camera. In fact, the facial recognition software in the camera can capture the person’s image at their normal pace. They don’t have to do anything but simply walk past it. The backend software in Facedeals already knows what that user likes and doesn’t like and their habits when patronizing a Facedeals establishment. Facedeals also specializes in relevance as co-founder David McMullen told 60 Minutes’ Leslie Stahl in this interview that aired last month. In that 60 Minutes piece, McMullen and Stahl walked into a participating merchant, and as they were getting ready to decide what to order, Stahl was delivered a deal to purchase a Ceasar Salad and get a free Diet Coke. Both items, were things that Stahl actually likes. McMullen was offered a different deal on a local beer that he likes. The secret to this relevance is that when users opt-in to Facedeals and let the service see their Facebook page, it builds a profile based on things they’ve liked..
McMullen told us (and 60 minutes) that the beauty behind Facedeals is that the deals are coming when you’re ready to make a purchase and not in an email first thing in the morning. The company is working with a variety of different merchants including retail, restaurants, and bars. The robust back-end makes it the easiest way to do loyalty and rewards for any business. In fact they don’t have to do much of anything except let the customer redeem the deal. 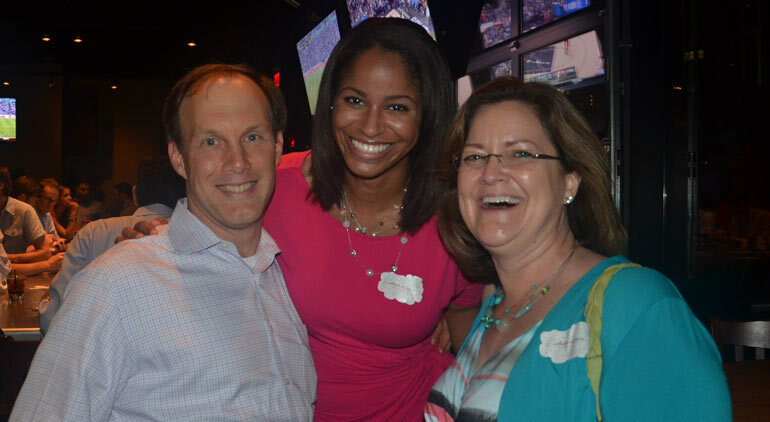 Check out our own interview with McMullen from the Southland conference in Nashville. Here’s more of our Southland coverage. Last year when Kim Munzo went to the Startup Weekend EDU event in Florida, she didn’t know what to expect. The career long educator had a problem and the solution, and with fingers crossed she hoped for the best. She had no idea what a ride it would be. Munzo has worked in online education for the past 15 years. For those keeping score, that’s just about when online education became accepted as a legitimate source of education. In her position she found that there were a lot of people who dropped out. They get too busy, they get bored, and sometimes they just didn’t feel like continuing. Munzo was at Everywhereelse.co The Startup Conference, we weren’t able to see much of her business. Fortunately, at Southland we found out the big picture behind this Florida startup. Munzo developed an analytical system that can predict which online students are at risk of dropping out. An online student can elect to take one class, or a whole degree program online. Some students choose to get multiple degrees. At that rate, the tuition adds up and the revenue for online institutions is in play. A drop out, depending on the cost of their tuition and programs offered, can cost an institution up to tens of thousands of dollars. AspirEDU lets online institutions know which students are at risk. Then the institution can follow up in a variety of ways. 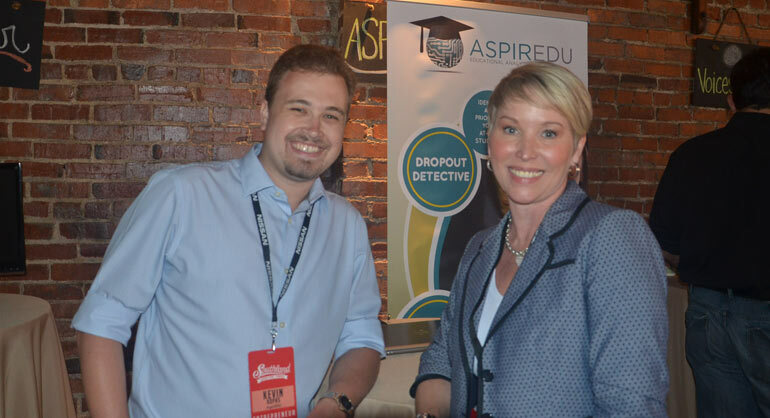 AspirEDU co-founder Kevin Kopas also told us that they are developing features that will automatically send online students at risk emails or text messages to get them re-engaged with their online education. The end result is less attrition for online institutions and students who finish their degrees and certifications. 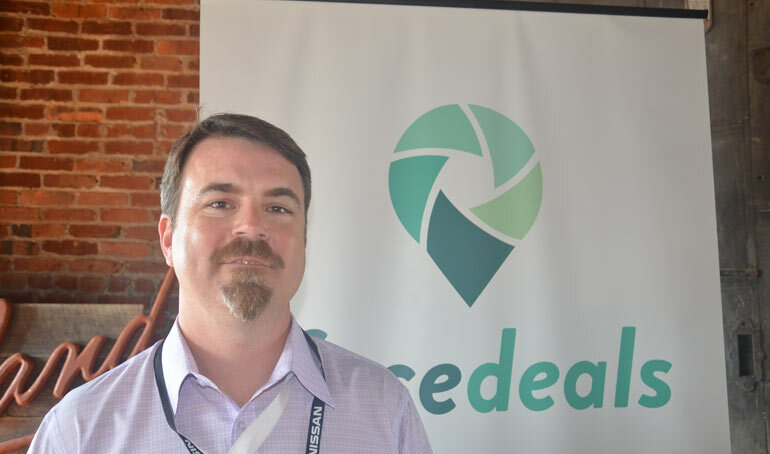 Following a win at that Startup Weekend EDU event, AspirEDU started taking their show on the road, exhibiting at conferences, pitching in pitch contests, and submitting business plans for business plan competitions. All of those avenues proved to be great for the company. AspirEDU won $25,000 in cash in the Best of Village pitch contest at Everywhereelse.co The Startup Conference I. After that they won the Florida Atlantic University business plan competition which included $55,000 in cash and services prizes. All of which came in handy for the bootstrapped startup. They also came in 7th place in a global business plan competition. Although the entire team is still employed elsewhere full time, they are working 40-70 hours more per week on AspirEDU. “I’m taking off from my day job to be here at Southland,” Kopas told us. Kopas works for a major domain name provider during the day, and dedicates all of his free time to AspirEDU, time he used to use to enjoy the waters of Florida. AspirEDU is a certified partner with Canvas by Instructure and the team will be traveling to Utah next week to present in a conference with 9 other certified partners. While the education space is filling up rapidly, there’s no other startup that is using analytics to help keep students enrolled. While it’s a great idea and great technology, the team is leery of taking an investment right now. They already have clients and some major deals with big institutions across the globe in the works. Munzo and Kopas are hoping that they can start creating substantial revenue and not have to give up any equity, at least in the short term. An investor told us that anyone can make a $4 million dollar business; we want to hold off on an investment in case we need it to get to the $100 million dollar mark. That’s a good possibility with the online education industry counting for billions of dollars on a global scale. Munzo and Kopas credit Startup Weekend and the people they’ve met while traveling all over the country to promote AspirEDU with where they’ve gotten thus far. You can find out more about AspirEDU here at aspiredu.com and by watching the interview video below. Check out more of our Southland coverage here! We were in Washington, DC and Baltimore last week as part of the Sneaker-Strapped Startup Road Trip. 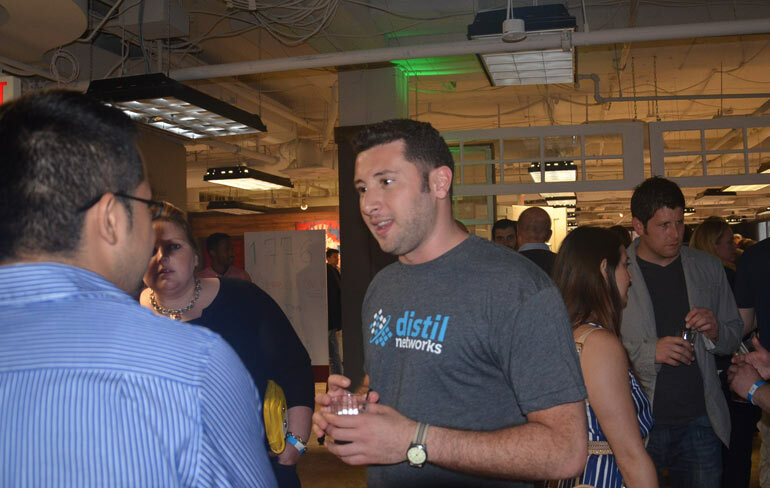 That’s where we ran into Distil Networks CEO and co-founder Rami Essaid. A few days and 665 miles later, we’ve run into Essaid again, this time at Southland in Nashville, Tennessee. Distil Networks was one of 50 regional startups chosen to exhibit at Southland’s Startup Village. They were also one of 20 startups selected to pitch onstage at the conference as well. We first reported on Distill Networks back in August when they were going by the name Distil.it. Since then, they’ve added more features, more employees, more users and changed their name to Distil Networks. The company offers a very useful service. Through a simple line added in a websites DNS entry, Distil is able to quickly check a website and identify and disable “bots” that can often pirate content, hype statistics, and do other aggravating things. Their technology allows content sites big and small to function faster and stop worrying about their content being auto-posted to thousands of blogs world wide. One of their customers is the site ripoffreport.com. Ripoffreport came to Distill because they suspected that bots were stealing their articles. One quick analysis and Distil found out that they were correct, but that was just the beginning. After turning Distil’s service on they found that they were stopping 50,000 malicious bots a day that were reducing their server load by a whopping 70%. Distil increased the site’s load time by 50% and by stopping the theft of their content, for the first time in years, ripoffreport saw an increase in visitors to their site. But malicious bots aren’t just about stealing content and hogging band width. As Essaid says in his Southland pitch below, malicious bots steal e-commerce site data, post fake posts to forums, auto-click on ads and other things that are harmful to businesses who rely on their server infrastructure. Distil is constantly updating their base of malicious bots. When they find a new malicious bot on one of their client sites, they test all of their client sites for the same bot. They also have other safety features in place, like randomizing their code every few minutes so bad bots can’t penetrate it. 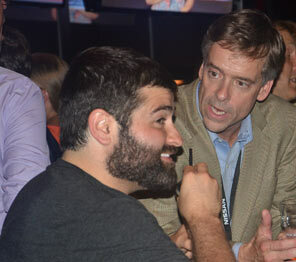 Here’s more coverage from Southland 2013 at Nibletz.com The Voice Of Startups Everywhere Else. 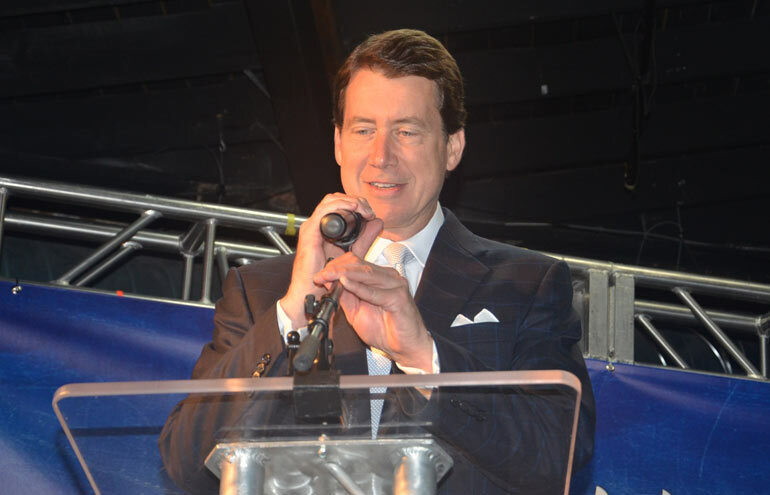 Tennessee Economic Development Commissioner Bill Hagerty took the stage at the Southland Conference in Nashville on Wednesday morning to introduce the conference and highlight why Tennessee is great for startups. Since the current administration took over two and a half years ago, Tennessee has become number one in the southeast and number four in the nation for manufacturing job growth. Tennessee is also number one in the southeast for personal income growth. But one thing that we found interesting is that Tennessee has the best balance sheet in the country. This is important because Tennessee hasn’t put itself in a position where they haven’t raised the debt ceiling to a point where it can’t be manageable. All of this means that Tennessee is a great place to grow jobs, personal wealth and families. Hagerty went on to discuss the regions history of entrepreneurship including companies like FedEx that call Tennessee home. Finally, Hagerty pointed out one of the biggest claims to fame for Tennessee in regards to startups. Since the Haslam administration took over Tennessee has become home to nine startup accelerator regions all administered by Launch Tennessee. Each startup accelerator region has an incubator or accelerator program. While many don’t think of Tennessee in terms of entrepreneurship these highlights along with the infrastructure in place already for business owners, job creators, startups and entrepreneurs, it’ s no wonder that Tennessee is first for startups in the South East. Check out this video of Hagerty’s speech at Southland. Check out more of our Southland coverage here. A refreshing side of Sarah Lacy returned to her native Tennessee on Wednesday morning to kick off the first Southland Conference. If you’ve seen Lacy on her best you know she can be a hard edged interviewer that commands respect in the room, after all with her storied career and climbing through Business Week, TechCrunch, authoring books and two children, she’s earned it. But Wednesday morning her southern Tennessee charm returned when she welcomed her interviewee Gary Swart, CEO of Odesk for a fireside chat. Before the interview though, Lacy wanted to hand a secret over to the organizers and attendees of the first ever Southland conference. Lacy talked abut Big Omaha, the centerpiece of Silicon Prairie News’ “Big Series” and a must attend conference for entrepreneurs everywhere. “Do you know how they get big names at Big Omaha” Lacy asked the audience. Then she proceeded to show everyone. First off she made it clear as southerners and entrepreneurs we were going to “steal” what Big Omaha does. After that she showed off Jeff Slobotski’s (the organizer of Big Omaha and founder of SPN) secret. It was a huge warm welcome that made each of the speakers, big and small, feel like the biggest person on earth. “Pretend Gary is Oprah and she just gave everyone a car” Lacy told the audience as she asked everyone to practice the big welcome. Although Southland is in Nashville it’s designed to celebrate entrepreneurship throughout the south east and with that in mind Lacy made plenty of references to her Memphis upbringing during her talk with Swart. Lacy made the trek from Silicon Valley with her 8 week old baby in tow. 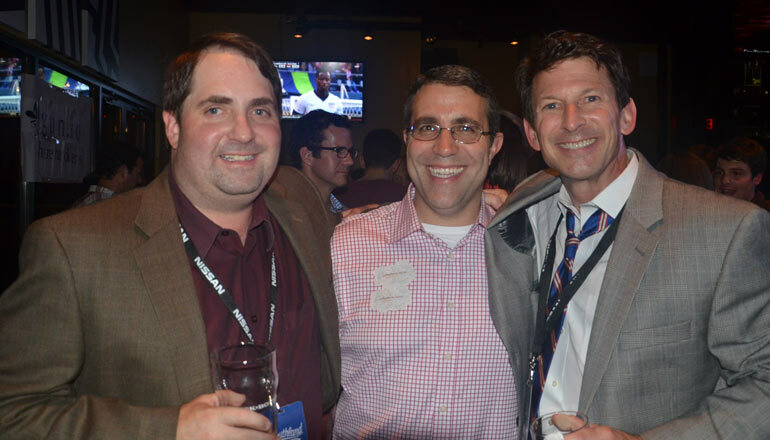 Launch Tennessee’s Southland conference, happening June 11-12th in Nashville, Tennessee, will highlight the best in startups, technology, and down-home Southern culture. The event is intentionally sandwiched between the CMA Music Festival and the legendary Bonnaroo, and adds an element of entrepreneurship, almost SXSW-style to these two historic events. With the way Southland’s schedule is shaping up, it too will become a staple in the Music City. 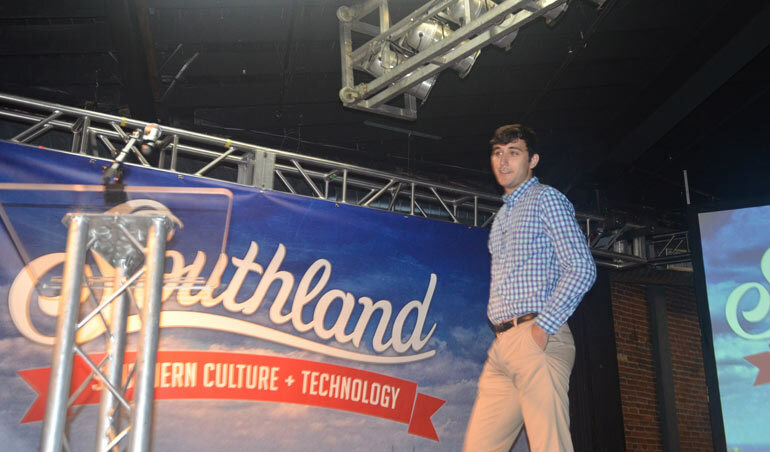 Over the weekend we reported on the 50 startups from across the Southeast that were chosen to participate in Southland’s Startup Village. 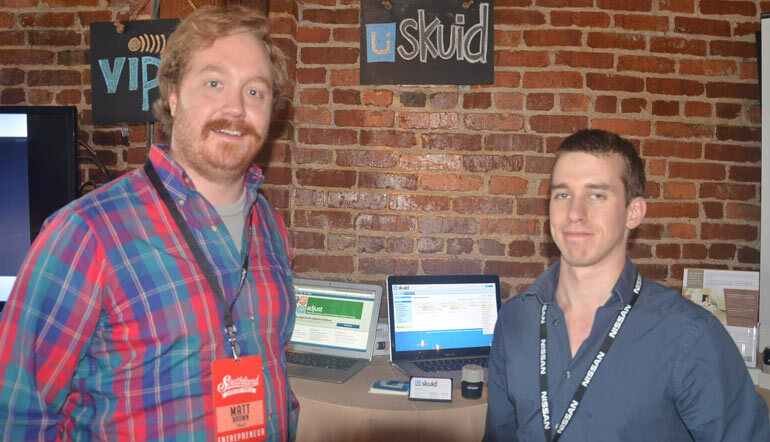 Eleven states were represented, with 17 startups hailing from Nashville. 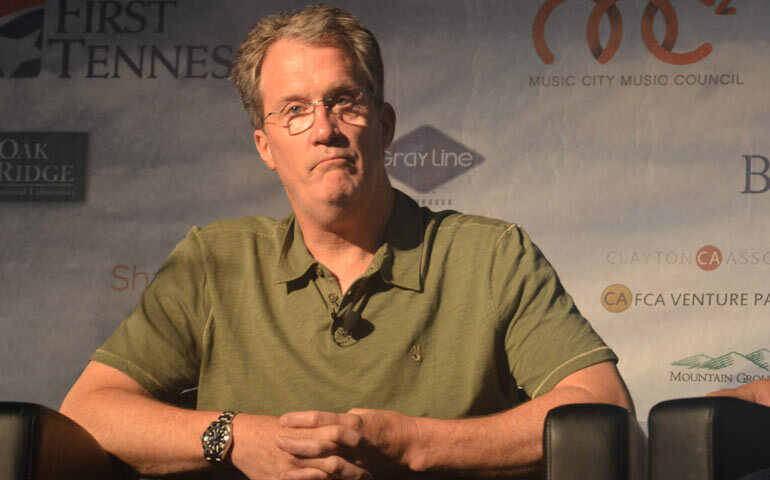 On Monday, Launch Tennessee CEO and conference organizer Charlie Brock announced some heavyweight investor panels, which will provide firsthand, top-notch knowledge of early stage investing to startup founders, entrepreneurs, and local angels from across the Southeast. The first panel “VC Trends: From Silicon Valley To The Southeast” will feature Mark Kvamme, Paul Santinelli, and Jason Sibley. Kvamme is a co-founder and partner of Columbus, Ohio-based Drive Capital. Previously, he was special limited partner and general partner at Menlo Park, Calif.-based Sequoia Capital, where he was the founding investor of LinkedIn, Cast Iron Systems (acquired by IBM), MarkLogic Corporation and Funnyordie.com. Santinelli is a partner at North Bridge Venture Partners in Palo Alto, Calif., where he specializes in communications and infrastructure and focuses on investments in open source, software, security, Internet applications, and infrastructure and communications. He founded and ran NOCpulse, a Silicon Valley software startup that was acquired by Red Hat Network. Sibley is a director at GE Ventures, Healthymagination Fund. He was previously a Vice President at GE Equity and a member of its healthcare investment team. He is currently building out GE Ventures’ Boston investment office, which is focused on life sciences, medical technology, and energy investments. The regional investor panel, “VC Trends: Focus on the Southeast,” includes Rik Vandevenne with River Cities Capital Funds of Cincinnati, Ohio, and Raleigh, N.C.; David Jones with Southern Capital Ventures/Bull City Venture Partners of Raleigh, N.C.; Spence McClelland with Noro-Moseley Partners of Atlanta; and Sid Chambless of the Nashville Capital Network. In addition to investor panelists, representatives from more than 35 venture capital companies are attending Southland, including Durham, N.C.-based Hatteras Venture Partners; Menlo Park, Calif.-based Shasta Ventures; and Battery Ventures, which has offices in Waltham, Mass., Menlo Park, Calif., and Israel. Other Southland speakers and panelists include Slava Rubin, co-founder and CEO of Indiegogo; Dan Pelino, general manager of IBM Healthcare and Life Sciences Industry; Ali Partovi, co-founder of Code.org; George Kliavkoff, executive vice president and deputy group head of Hearst Entertainment & Syndication; Gary Swart, CEO of oDesk; and Paul Singh, partner at 500 Startups. Stay tuned to Nibletz for even more Southland coverage. Here’s what we’ve covered so far.